Product prices and availability are accurate as of 2019-03-30 13:46:52 EDT and are subject to change. Any price and availability information displayed on http://www.amazon.com/ at the time of purchase will apply to the purchase of this product. 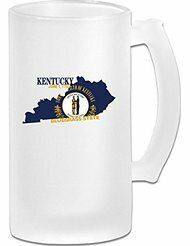 Perfect For Beer, Soda, Water And Many Other Beverages Of Your Choice! These Frosty Mugs Are High Quality For Added Clarity And Strength. Big Capacity For A Cool Summer.